It's Friday the 13th. Hope it has been OK for you. It generally is a good day for me, not sure what that says about things. Anyway, my image today is one I captured last October. I wanted to share this today because Earth Day is coming up next weekend and also Spring is arriving, although very slowly. 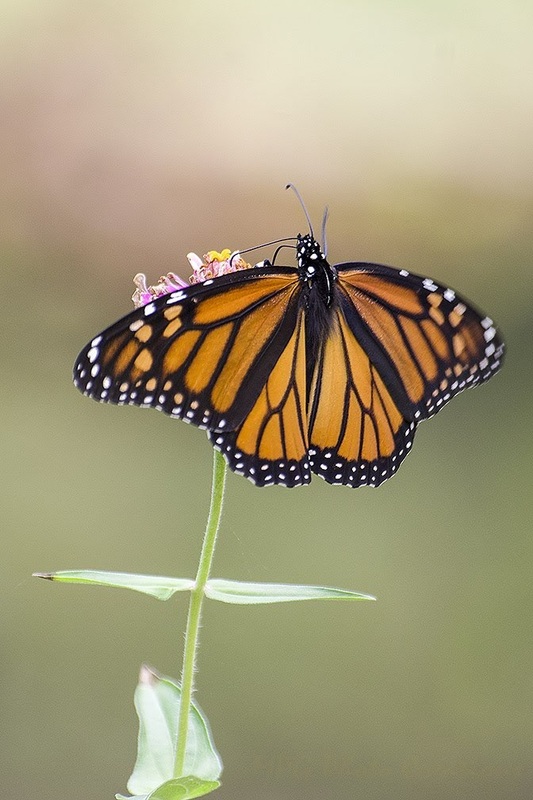 When you are thinking about plants to buy and plant this year, keep the butterflies in mind. Zinnias, which this Monarch is enjoying, are fairly cheap and can be grown from seed and last up until a hard frost to provide nutrients for the butterflies when other flowers have faded away. I loved the creamy bokeh in the background of this image because Fridays are all about the bokeh.